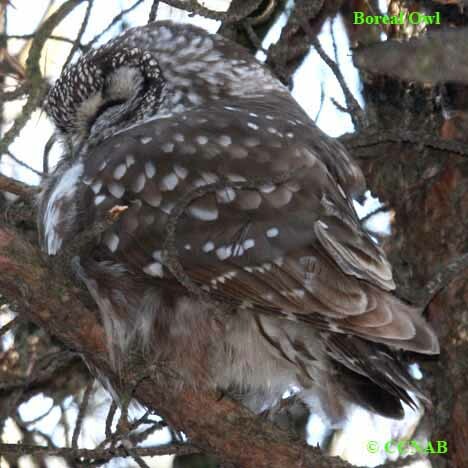 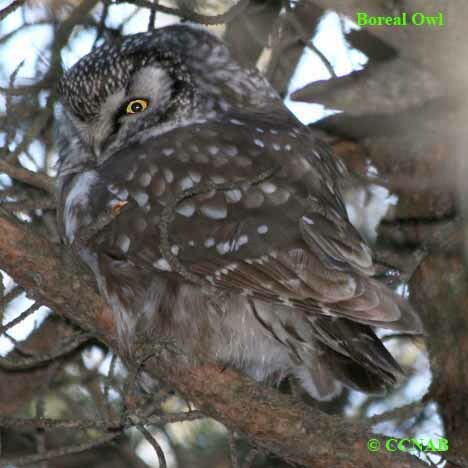 The Boreal Owl is one of the smaller owls seen in North America. 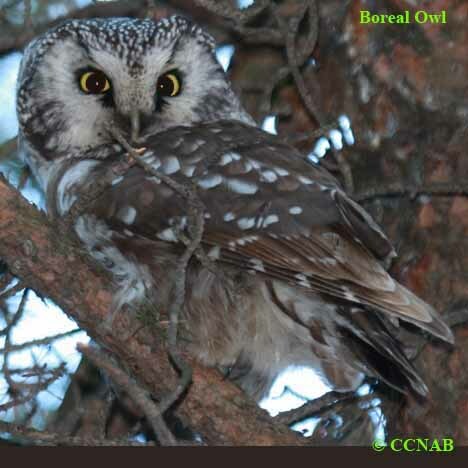 Its habitat is mainly in the coniferous forest of northern Canada, touching into the US on the western side of the Great Lakes. 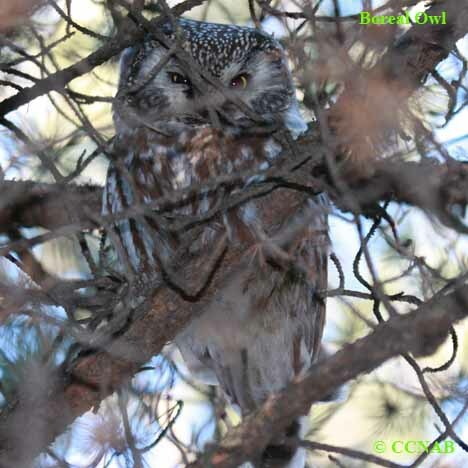 It also is seen souhward through the Rocky Mountains, reaching to the northern parts of New Mexico. 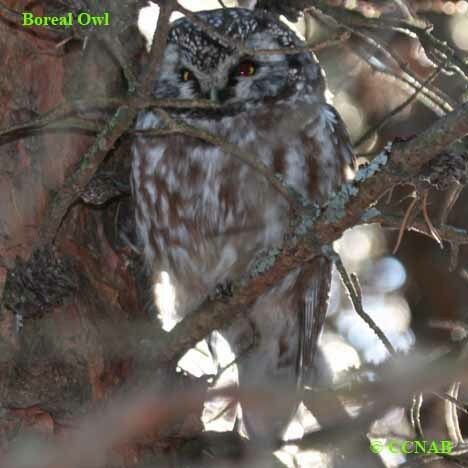 This bird from time to time does show up in the winter months in populated areas when foods is scarce in the north.